Senior School is all about preparing our students to enter university. 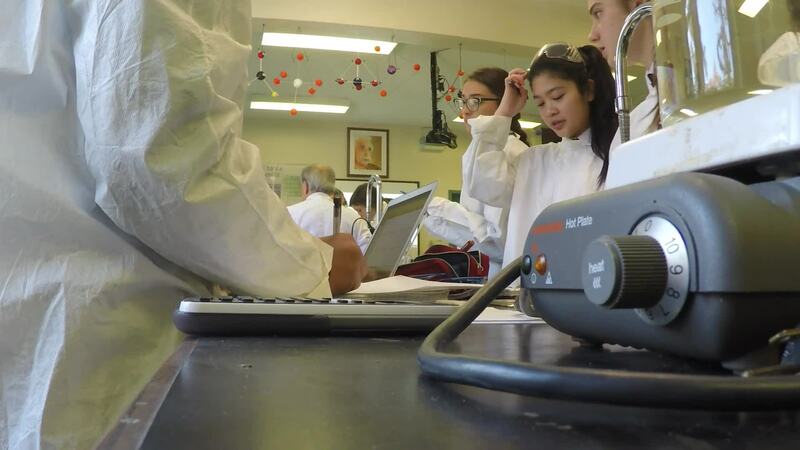 Our students benefit from an educational environment that stresses higher-level critical thinking and inquiry and research skills, allowing them to develop a broad basis of knowledge and abilities while gaining an in-depth understanding of subjects of most interest to them. This rigorous academic program, along with strong co-curriculars and leadership opportunities helps Elmwood girls gain acceptance to the universities of their choice, often with generous entrance scholarships. Many universities actively seek out full IB Diploma students in their recruitment strategies, offering incentives such as early acceptance, scholarships and credit for first-year courses. Alternatively, some students may choose from a wide array of IB Certificate courses in subjects that are of particular interest to them. In addition, all Elmwood students graduate with the Ministry of Education diploma (Ontario Secondary School Diploma). Elmwood graduates leave our school with the skills, work ethic and knowledge they need in order to be successful in university and beyond.